REPEATTM is a young, lively and fun brand which has the power to take you on an absolute high with its interesting range of products, which would make you want to call for a repeat. Once is never enough. The best things in life are always repeated. Be it moments, memories, tales, or victories; REPEATTM will encourage you to relive every one of those stories. Experience the finest range of products in the country, crafted especially for those who don’t just want to relive every moment that brings an adrenaline rush, but savour it slowly, neat or on the rocks. We want you to call for a celebration whenever you feel like rewinding all the best moments of your life with REPEATTM. Privilege Industries Limited (PIL), a premium Spirits Company based in Maharashtra since 2005 introduced two brands in its portfolio – REPEATTM Premium Grain Whisky and REPEATTM Premium Strong Beer. Brands under REPEATTM stand tall with a strong backing from its promoter: Mumbai based Anu Dewan. 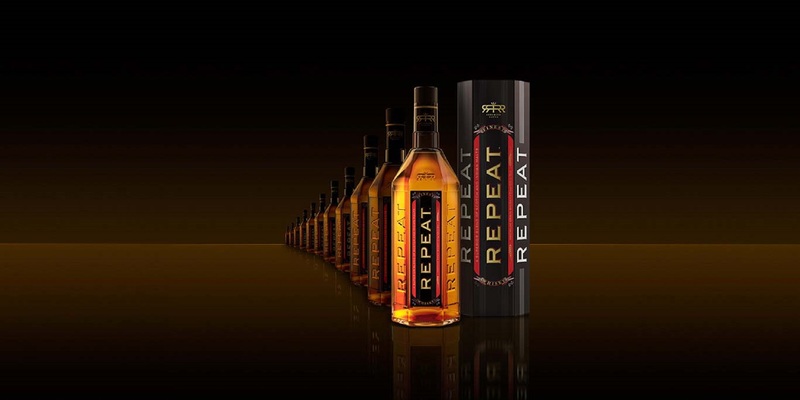 REPEATTM Premium Grain Whisky is a flagship brand of PIL and was launched in November 2015 to pursue our vision of achieving product excellence. It has also won awards for the BEST IMFL SEMI-PREMIUM WHISKY (GOLD) and BEST MONO CARTON award at the Ambrosia Awards 2017. This brand is built on a foundation of high quality and innovation packaging. After the successful launch of REPEATTM Whisky, the company decided to introduce a Premium strong beer in the market in the year 2017. The time was right for the introduction of a quality product in a country thirsty for interesting brews. 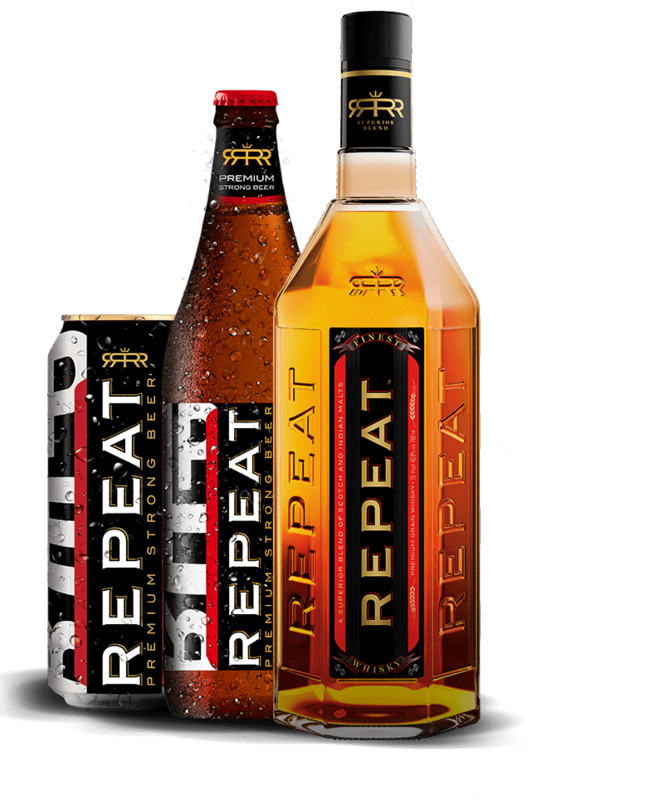 Sensing the market potential, a predatory leap was made with REPEATTM Premium Strong Beer. Our REPEATTM strong beer has won the awards for BEST STRONG BEER (SILVER) and BEST METAL CAN (GOLD) awards at the Ambrosia Awards 2018 within a year of launch. 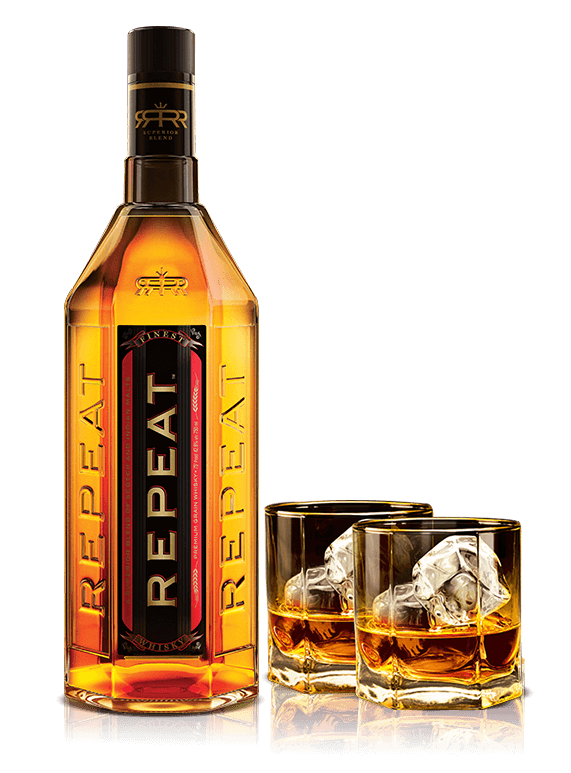 REPEATTM Premium Grain Whisky has been launched to excite whisky fanatics seeking a smooth & superior blend of Scotch & Indian malts. It is whisky so fine that you will call nothing else than REPEATTM. 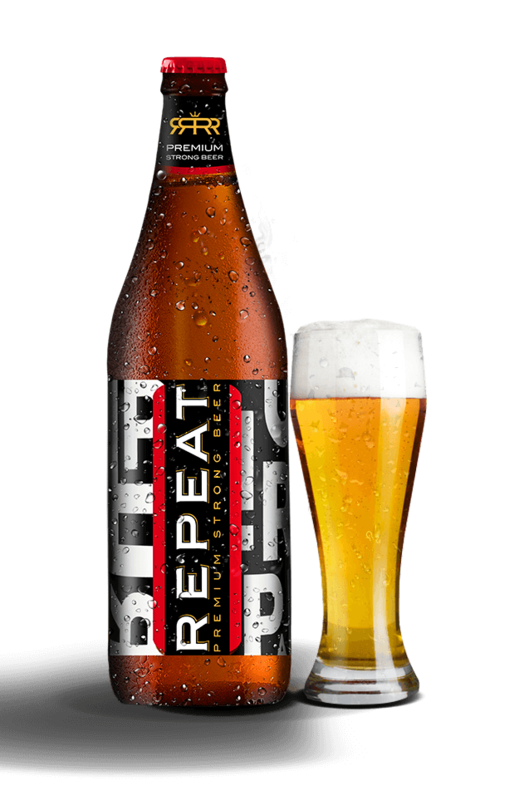 REPEATTM Premium Strong Beer is a rich malty and high-hopped beer, with a strong earthy aroma. 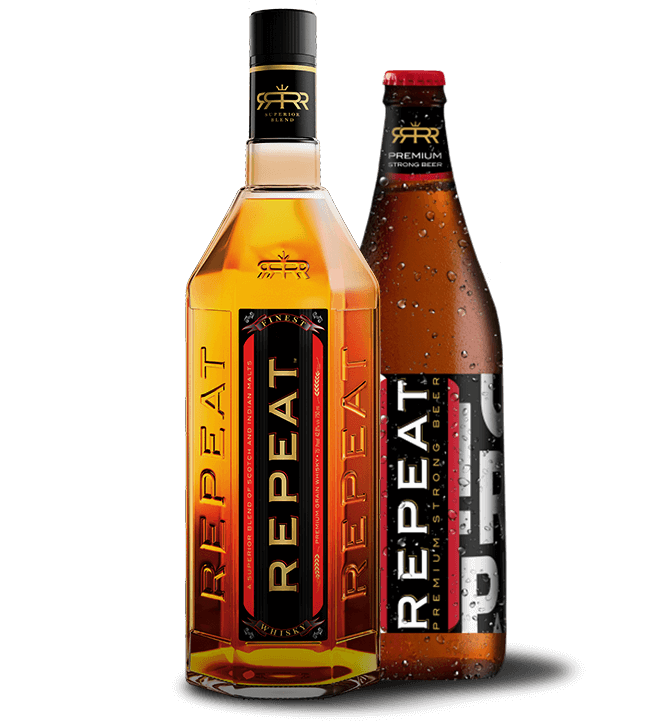 REPEATTM Beer was crafted to suit the Indian taste, giving them a strong beer that goes down smooth and fine!